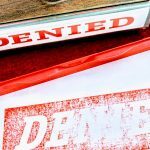 Whose “Clinical Judgment” Applies to Insurance Denials? The classic “he said, she said” scenario shouldn’t apply to healthcare claims. A denial based on medical necessity arises when there are two opposing opinions: (1) the treating physician who recommends that a patient receive treatment necessary for the patient’s condition; and (2) the insurance company’s physician reviewer who has never seen the patient. In deciding medical necessity, the insurance company must consider clinical judgment. But whose clinical judgment applies? Clinical judgment is defined as “the application of information based on actual observation of a patient combined with subjective and objective data that lead to a conclusion.” http://medical-dictionary.thefreedictionary.com/clinical+judgment. In most cases, the only physician who has “actual observation of a patient” is the treating physician. It has been said that disability insurance carriers view a Fibromyalgia diagnosis with skepticism. The disease is an “invisible disease” which cannot be measured on x-ray and its diagnosis is often dependent on an insured’s report of pain, fatigue and cognitive dysfunction. For this reason, insurance carriers often try to discount the disabling nature of the disease. We see carriers do this by: (1) hiring physicians who do not believe in the disabling nature of the disease or (2) demanding the insured submit “objective proof” of the disability, which cannot exist. There are no x-ray’s or MRI’s used for diagnosing Fibromyalgia. In addition to dealing with short term disability benefits, long term disability benefits, and health insurance denials, many of our clients are also tasked with applying for Social Security Disability benefits. On January 17, 2017, the Social Security Administration adopted new rules for evaluating mental disorders. These rules reflect the most comprehensive revision in over 30 years to the criteria used to evaluate disability claims involving mental disorders. Changes to the rules reflect up-to-date standards and practices used in the mental health community. Most notably, the new rules reflect information from the Diagnostic and Statistical Manual of Mental Disorders, Fifth Edition (“DSM -5”), which is the mental health profession’s standard for classifying mental disorders. The new rules also reflect comments from members of the public and the expertise of disability policy experts, adjudicators, psychiatric professionals, and vocational experts. Among the many changes are three new listings: 12.11 Neurodevelopmental disorders, 12.13 Eating Disorders, and 12.15 Trauma- and Stressor-Related Disorders. Additionally, the titles of the listings have been updated to reflect the terms the American Psychological Association uses to describe the categories of mental disorders in the DSM-5. Under the new rules, these new mental health listings will remain in effect for five years. To read the full text of Social Security’s Mental Disorder Listings, click here https://www.ssa.gov/disability/professionals/bluebook/12.00-MentalDisorders-Adult.htm#12_04 .